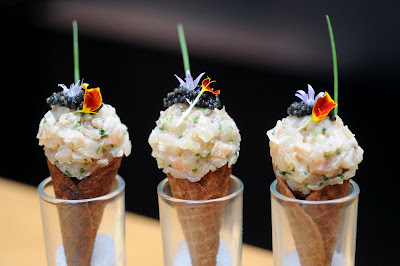 Salmon tartare cones, one of 20 bites on Poste's special menu. I'm full but not uncomfortably so as my 20th (yes 20th) dinner course, a warm chocolate bread pudding, lands in front of me. The 19 courses that preceded, like a dainty cone of steelhead salmon tartare and the petite pan of crispy pig's tail, were perfectly manageable, more bite sized than entree sized. And that's the idea behind Poste chef Rob Weland's "20 Bites" menu, which (as a guest of the restaurant) I had the opportunity to eat my way through the other night. Once upon a fine dining time, a decadent multi-course tasting menu featured a single-digit number: five courses, maybe seven or nine if you were really up for a big night. But more chefs are pushing the numbers game, taking the traditional multi-course menu and super sizing it. It sounds positively indulgent, but in practice, when well-paced and well-portioned, these types of menus don't offer an obscene amount of food. Many times, a "course" is really just a bite or two. 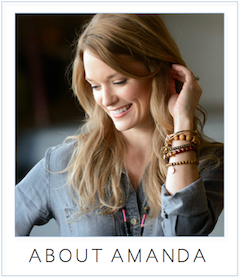 As Missy Frederick noted, it's perfect for an indecisive eater who wants to try a little of everything. At José Andrés' minibar, a pioneer of the multi-bite menu trend in DC, the course count tops out around 30. Chef Bryan Voltaggio treats guests at Volt's Table 21 with ... you guessed it, 21 courses. • minibar: Reservations are nearly impossible, but once you're in, the 25 to 30 course menu costs $120 per person. For info on reservations, visit the web site. I hope this does not come off like a grumpy old man, but as I close out my third decade the marathons are not as appealing. I would much rather have two out of three well executed dishes than 12-15-20 dishes with a .500 batting average. It is hard to remember what you actually ate after the meal and really tough to pair wines. With all of that said, the best meal that I ever had and the single best dish (white truffled Risoto) was at the Laboratorio del Galileo as part of a 12 or 15 course meal. Of course sushi, dim sum, korean bbq, and brazillian bbq are awesome multicourse extravaganzas that I thoroughly enjoy. So I kind of contradicted myself. Anon - I adore Komi's mezzethakia - one of the best parades of little bites around. Hate to rub it in, but Minibar was the best meal I've ever had in the states. Out of 30 courses only 1 was "meh" and several were transcendant. So maybe it's because you were a "guest of the restaurant" and feel obligated to provide positive press, or maybe it's just an oversight, but you didn't say whether you liked it or not. The Poste menu was fantastic. I would definitely recommend it.